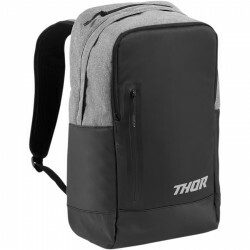 ΣΑΚΟΣ HYDROPACK THOR VAPROR S10 ME ΕΣΩΤΕΡΙΚΗ ΚΥΣΤΗ 2 ΛΙΤΡΩΝ. .. Rely on this system to handle all the fluids and tools you need for a trail-scouting trip or a wee..
Thor 3L Bpa-Free Replacement Bladder..
Thor Bpa-Free Replacement Bite Valve..
Thor Hydrant Pack Black Orange..
Thor Hydrant Pack Cement Orange..
Thor Reservoir Pack Steel-Flo Green..
Thor Vapor Pack Black Orange..
Thor Vapor Pack Cement Orange..
Thor Vapor Pack Steel Flo Green..